Yeah it’s early but Happy St Patty’s Day anyway. This time of year brings around time changes, warmer weather (we hope), March Madness and of course more FirstDown PlayBook installs! This week is a big one too. 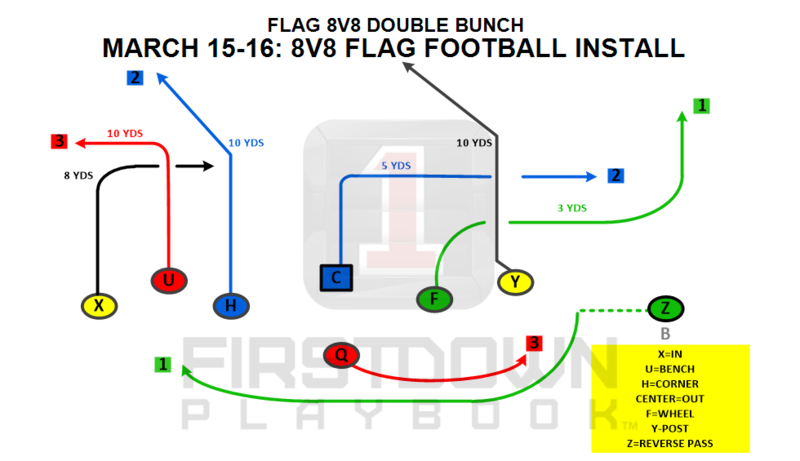 We don’t want to take anything away from the FirstDown PlayBook staff that is working on the 2×2 Play Action pass install during the early part of the week or the 8v8 Flag Football install on Thursday and Friday but the big deal this week happens on Saturday! Let’s talk about that first. 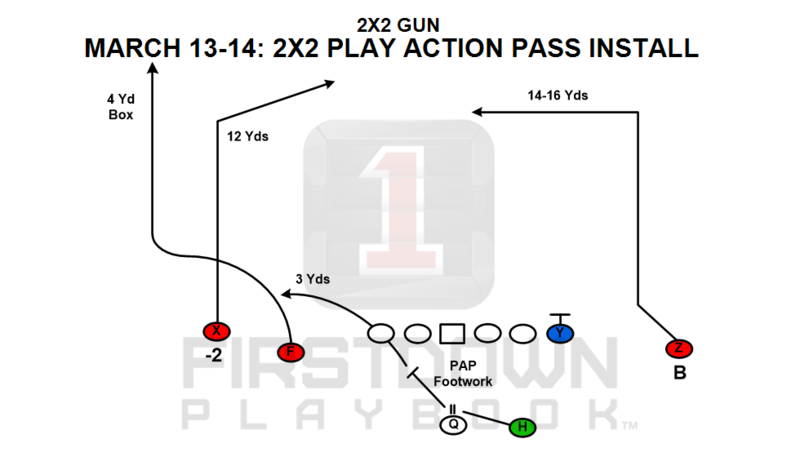 Anyone who knows anything about the FirstDown PlayBook Defense Builder knows there is not anything quite like it on the planet. (ain’t braggin if it’s true). We started by matching up the 4-3 Over Defense with five different coverages against 27 different formations. That’s 135 different defenses if you’re doing the math at home. Then we went into the 3-4 world and did a 3-4 strong and weak version for you. We have just recently finished up a 4-3 Under section with coaching points on all of the drawings. 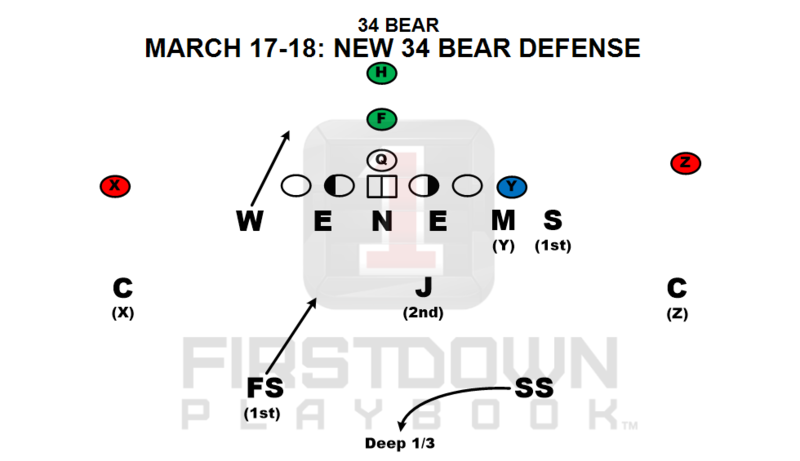 So now for this week’s FirstDown PlayBook installs we begin rolling out a 34 version of the Bear defense made famous by the guy who’s picture is at the top of this page. We don’t want to beat you up with it today but it will suffice to say that you are going to hear a lot about this installation over the next two months. 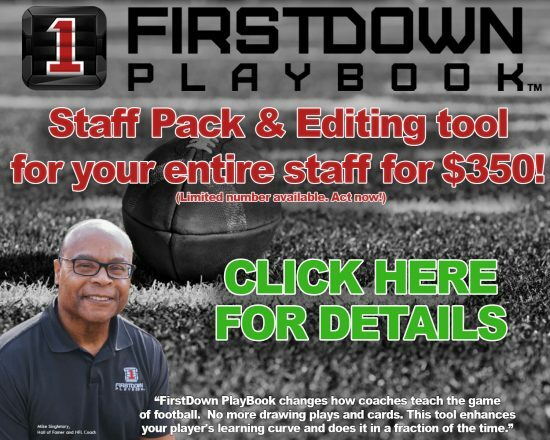 So buckle up and get ready for a week full of basketball brackets, green everything and as always a ton of FirstDown PlayBook installs that will help you now and this fall when you crank it up again! SATURDAY: MARCH 17-18: INTRODUCING 34 BEAR DEFENSE INSTALLATION!